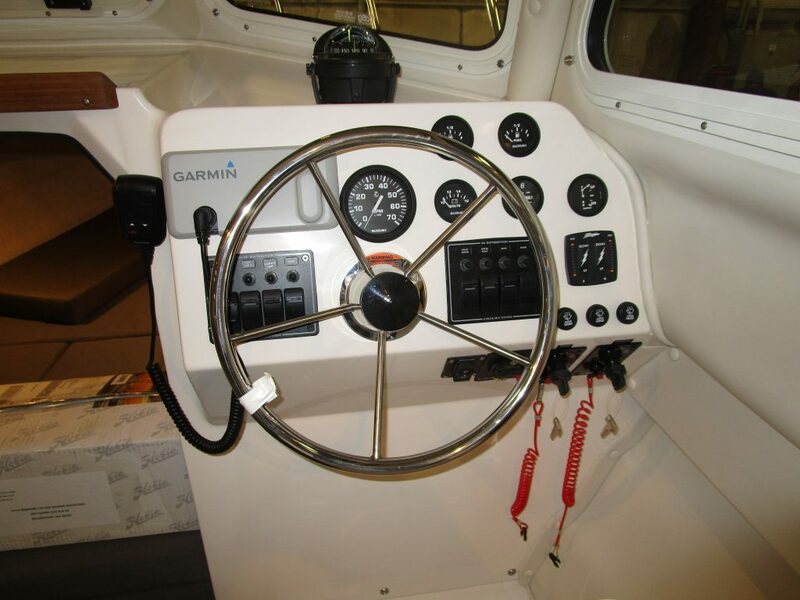 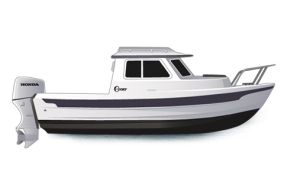 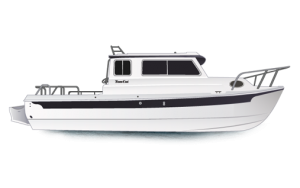 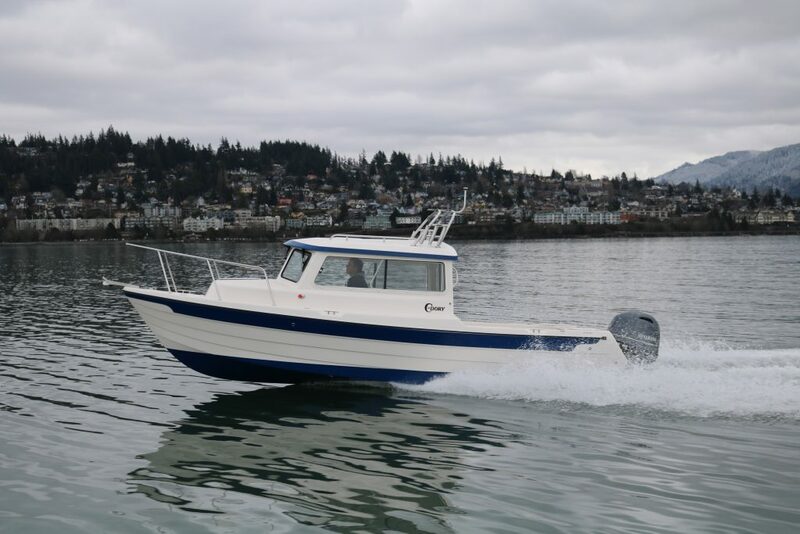 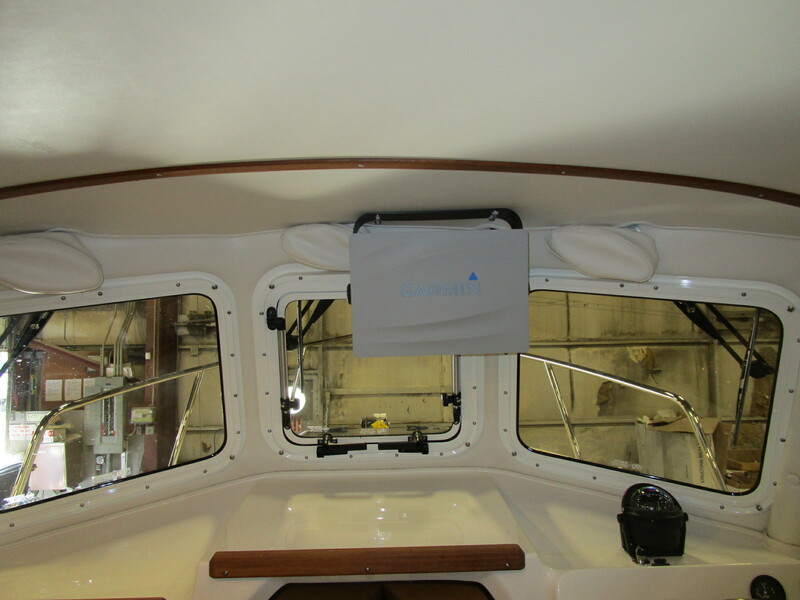 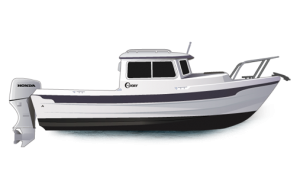 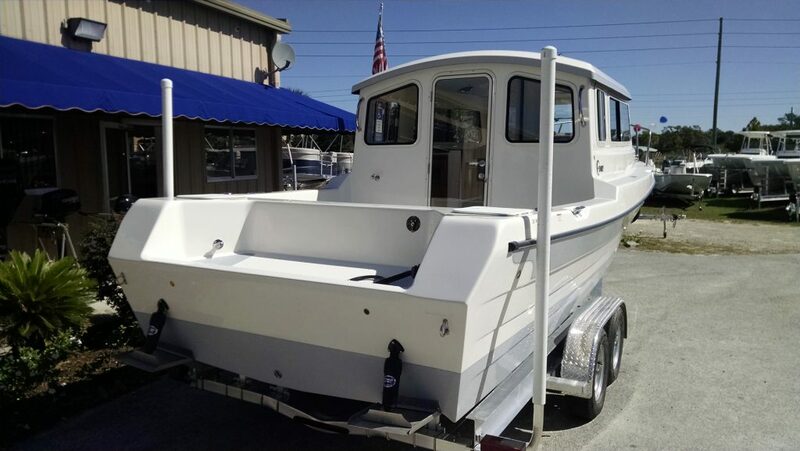 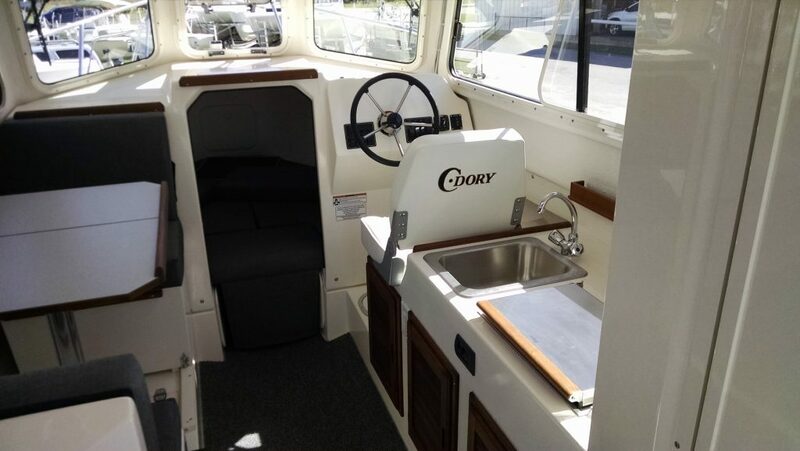 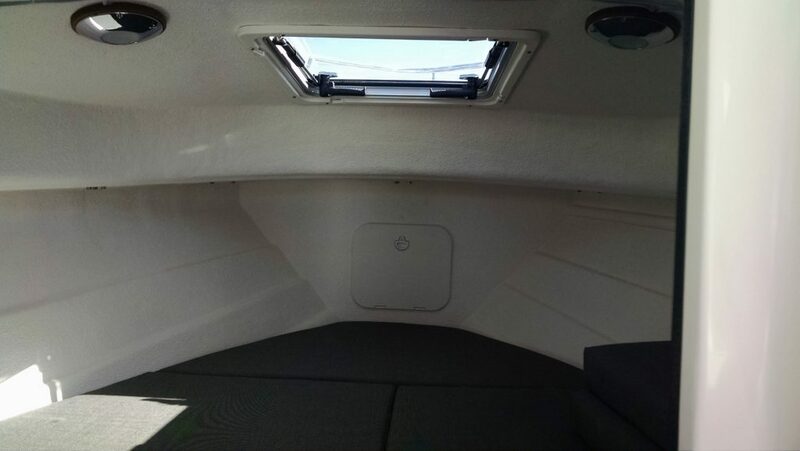 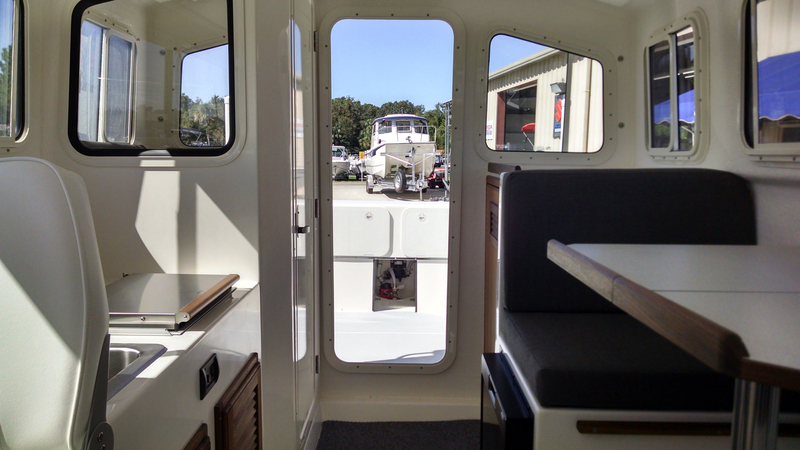 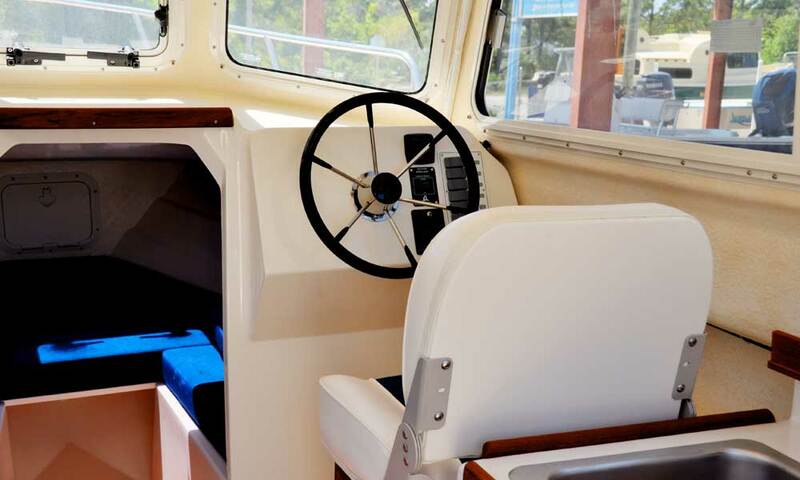 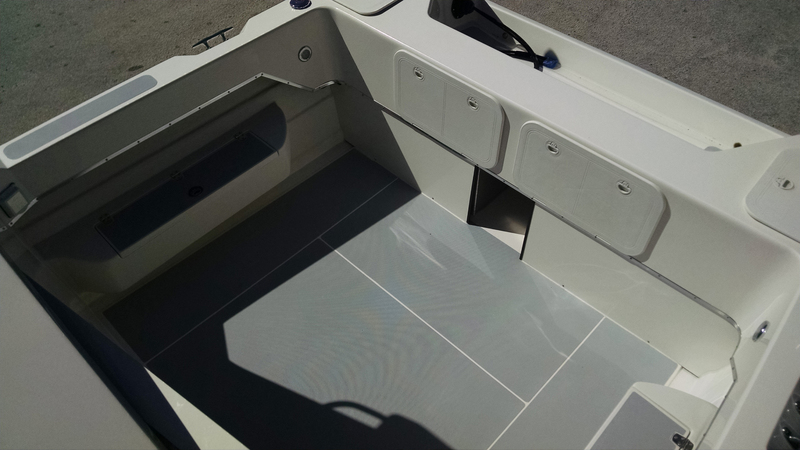 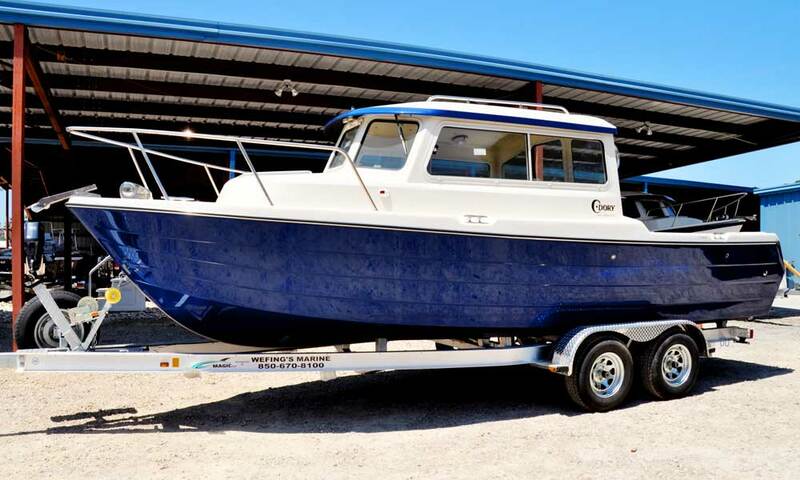 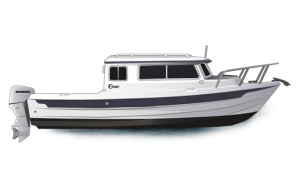 Although very similar to the classic C-Dory design, this new model features a deeper V, a little more deadrise and reverse chines to provide very smooth cruising in the open water. 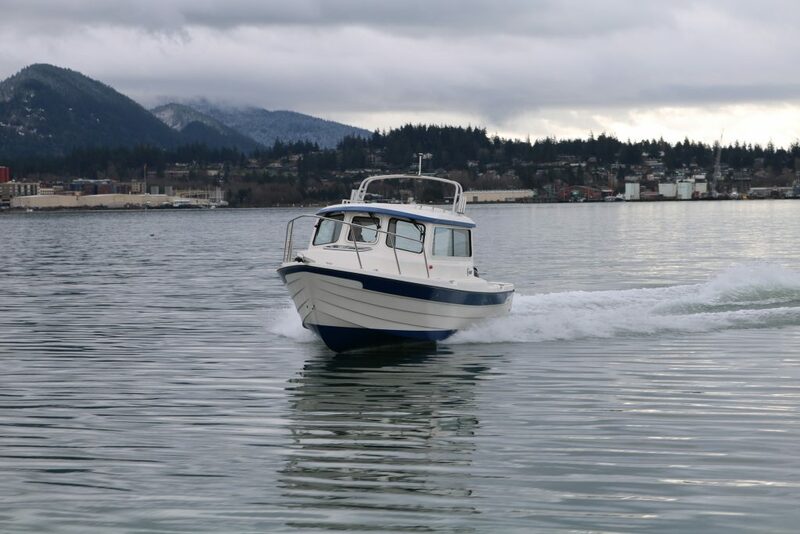 Maneuverability at speed is balanced and predictable, even in heavy seas. 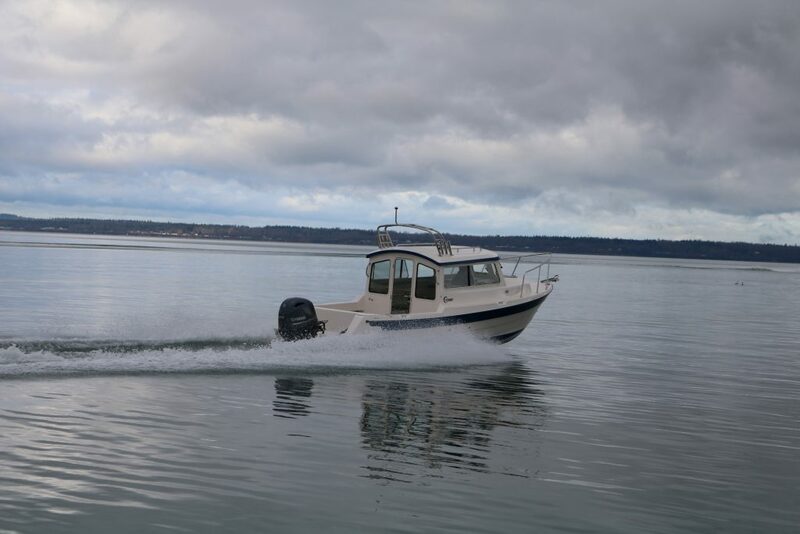 The boat holds her course with little effort. 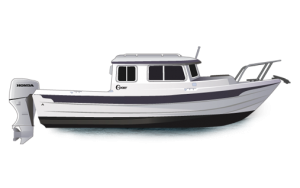 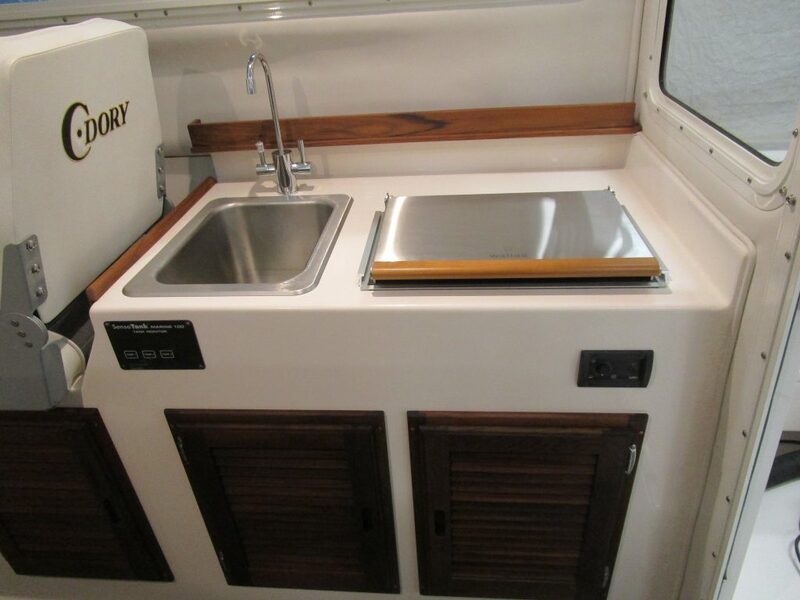 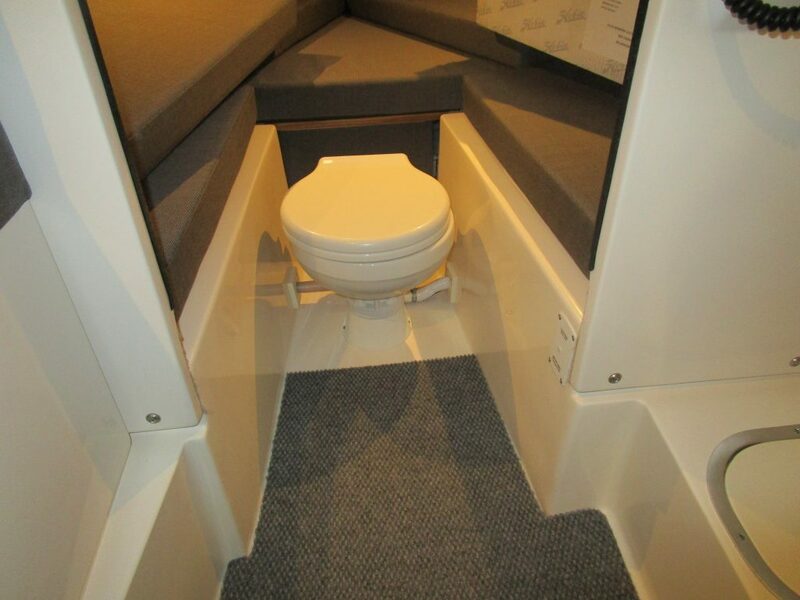 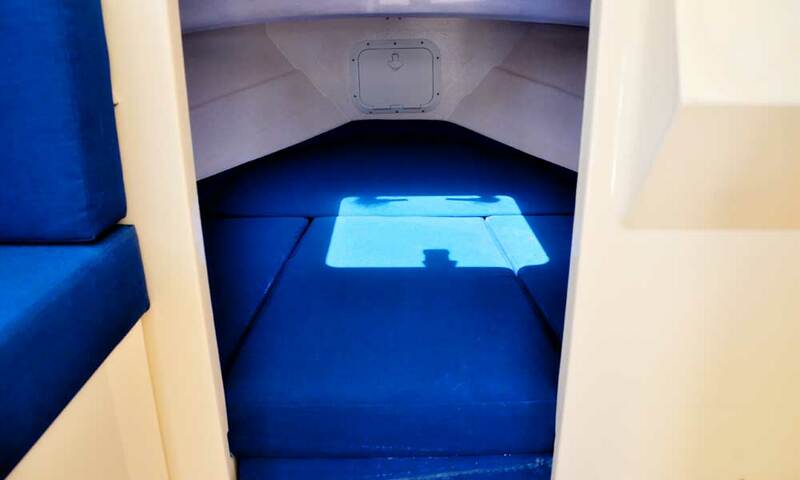 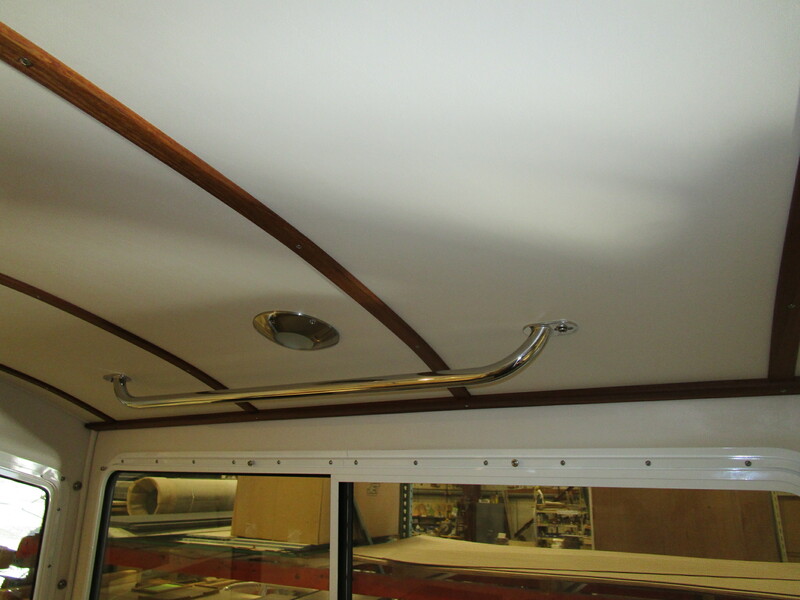 The hull’s flatness toward the stern with reverse chines greatly reduces the rolling motions, making cruising in rough water much more pleasant. 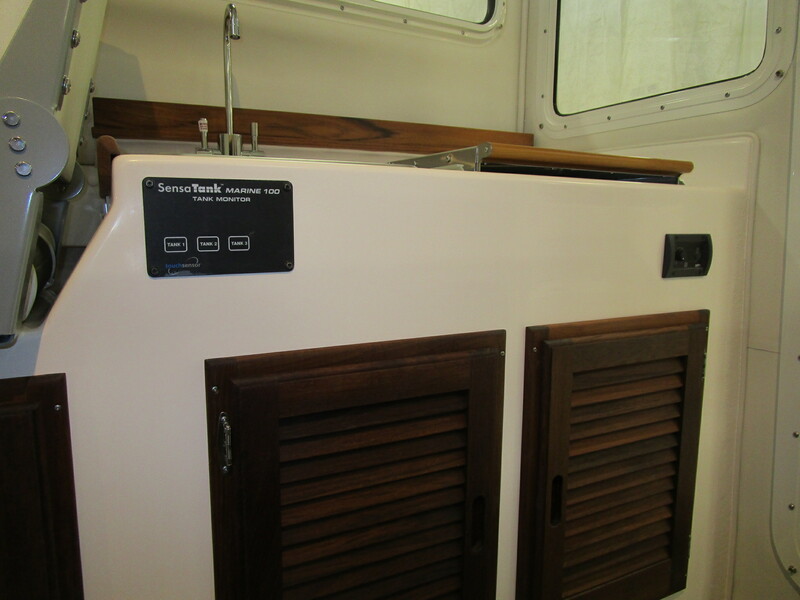 And with only 8” draft and a thick bottom, she can easily be beached on sand for beach combing adventures.